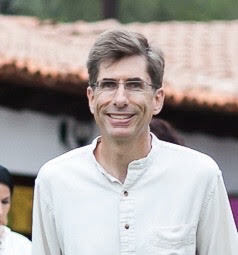 Dr. Roman is a caring listener with 25+ years of experience in providing psychotherapy, in Mexico since 1998 and recently licensed in California. With her bilingual and bicultural ability, she brings to Emotions in Harmony, Inc a combination of both cultures and both worlds of psychology and spirituality. Dr. Carmen has been a CEO for a group practice In Mexico and faculty member of different graduate psychology programs in Mexico and USA. 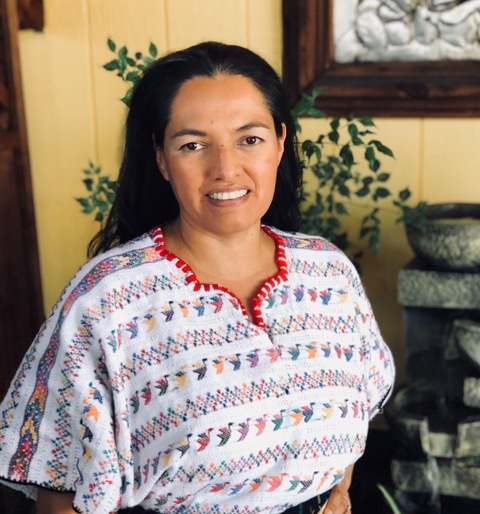 She has two Masters degrees and a Ph.D. in Psychology, which she carries while being proud of her humble indigenous origin where wisdom comes from prayer and inner connection. With her passion and specialization in creative expression, she intends to bring the latest Psychology and folk wisdom delivered for easy consumption. She believes in the magic that happens when our spirit is carefully cultivated and when we feel in harmony with ourselves and others. Do you know more about my work? Click HERE! With a background in technology and social research, Vince is ready to help Emotions in Harmony in many ways. He has been a Web Developer for two decades and has BAs in Sociology and Economics from San Jose State University and an MA in Sociology from The New School for Social Research. Having worked for The 4D Network and Collaborate.org, he has experience working to fuse modern techniques to solve age-old questions. He is looking forward to helping achieve the individual and social objectives of this exciting non-profit. Humanistic, Spiritual, and Dialectical Behavior Therapies. Prior to her work in the field of psychology, she spent 24 years as an executive in the computer technology industry in both sales and customer services. In addition to her experience in business and psychology, she also brings to the board many years working as a volunteer and board member for several non-profit agencies in the Bay Area. She is committed to the goal of bringing affordable psychological services to immigrant families. She has worked as an Estate Manager for many years, which brought her to her own business as a Hotel Manager. This gives her the opportunity to connect and learn from her customers who come from different cultures and counties. She is trilled to be part of Emotions in Harmony and to contribute with my knowledge and experience. Santiago Sinisterra is a Colombian-American marketing executive with 10 years of experience in both client and agency side. With a diverse background that includes a degree in Music Production and Engineering from Berklee College of Music un Boston, 6 years as the head of marketing and content at QiClub, a startup level by a Grammy award-winning composer in Miami, 4 years as the Director of Strategy at Zooka Creative, a Silicon Valley digital marketing agency, and currently the Creative Director at Kitty Hawk, a startup focused on transforming the world through aerial vehicles (flying cars). The common thread running through these wonderful opportunities is the desire to always learn, to discover, to explore. This is a direct correlation to the privileged education he received in Colombia, which includes a strong component of science in his early years. Alejandra is a young entrepreneur who has been specializing in the management of social networks, web pages, digital design, and content creation for various forms of media for 5 years. When she is not developing content and images she devotes herself to reading and makeup, she feels happy to be part of this great team and to share all her creative qualities. Yessenia is a young lady with sincere affection for the cafe life. From Jalisco, Mexico, she collaborates in Emotions in Harmony with the firm belief that in the most difficult moments exist to inspire our world and our humanity. Follow her work paragraph by paragraph in the production of Emotions in Harmony. Luis is a Music Producer, Sound and Mastering Engineer, and Podcast and radio editor with 7 years of experience in dance music production. He began his studies in Netherlands where he studied production at the Herman Brood Academy. He then received a job offer at DCC Studios where he honed his production, editing and mastering skills. He then continued to evolve and worked as a Ghost Producer for several Dutch artists. Nowadays, Luis works and collaborates on different Podcast around the world, such as Emotions in Harmony with Dr. Carmen Roman. He has also worked on WP-Tonic Show and Mail-Right Show next to Jonathan Denwood and John Locke, among many others. He also offers music services on different platforms, in which he has achieved a great reputation in a very short time, earning the trust and appreciation of many customers. Dayle is a specialist in Human Resource with 12 years of experience, holding various positions in national and transnational companies in her native country Venezuela. She discovered the potential of the help she has to offer by dealing daily with grassroots workers, always the most neglected. A lover of the arts in general, especially plastic arts, applied and graphic, she has combined his life between these two worlds. Today she feels totally pleased to support and be part of this beautiful organization.